~The Art of Life~: Thank you! "Flutter Butter" by Mindy Terasawa found here. I get excited everytime I see your blog in my inbox. I know I'll see something encouraging or challenging. Thanks for being a breath of fresh air! Love ya! Awww! :) I love reading your blog! 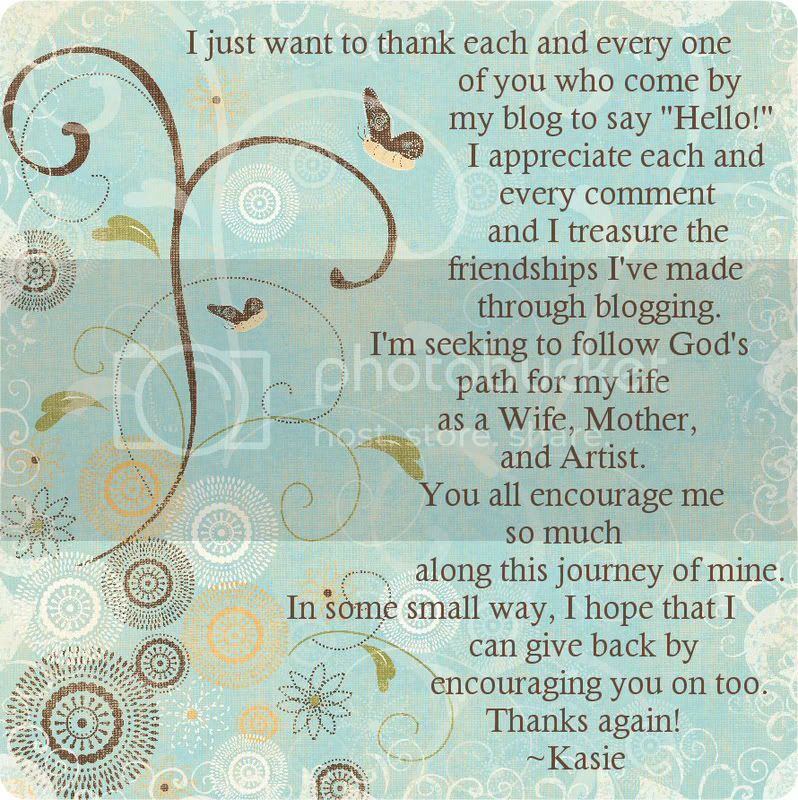 Kasie, THANK YOU for sharing your amazing talents and creativity via your blog. I value your online friendship and consider myself blessed to have met you. You are so sweet Kasie. Bless you and your sweet family, too!